Ever been curious about essential oils or finding effective natural solutions to everyday health-related issues? Essential oils have been part of my life since my twenties. 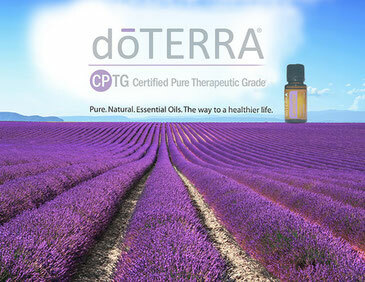 I've used many of the best but found none as pure and beneficial to me as those by dōTERRA. Essential oils offer natural solutions to a multitude of modern life challenges. I use these beautiful oils to support my immune system, hormonal balance, energy, sleep, skin health and sense of inner connection. There are oils to support digestion, oils to ward off headaches and colds, oils to help beat hot flashes, oils to give you energy & oils to relax you, oils to bring focus and oils to release tension, insomnia, stress and so much more... They work on all levels - physical, emotional, mental and spiritual. Plus they smell divine! DōTERRA are the world leaders in quality. They continue to pioneer quality testing and standards, ensuring that all their oils are Certified Pure Therapeutic Grade - the only oils that meet this independently verified standard in the world. This means you can be assured that they are what they say they are, free from the many common fillers and other synthetic additives that can be found in other “pure essential” oils, so you can safely use them for your own well-being and that of your family. Essential oils should not only smell good but DO good and that’s why it’s so important to choose oils from a trusted source where the utmost care has been taken to preserve the potent qualities of the plant. Right from the ground they’re grown in to the optimal moment for harvesting and the integrity of the distillation process. As a Wellness Advocate for dōTERRA I’m immensely proud to share these precious oils with others. After years of using quality oils from various well known brands I can say hand on heart that for me nothing else comes anywhere close. DōTERRA has impeccable ethical policies and practice, working with communities across the globe to build sustainable and meaningful partnerships, supporting women and children in particular. A myriad of life-changing project includes the groundbreaking Days for Girls which educates and empowers girls in developing countries. Every drop I use, every nutritional supplement I take helps someone else and that's important to me. I've used the oils to boost my immunity (my cold symptoms clear up in less than 24 hours) and to support my energy, vitality, emotional balance and sleep patterns during super-busy times. They also make beautiful gifts for men, women and children for all stages of life. I LOVE them and am sure you will too. Want to learn more? Click below to visit my Webshop where you can browse all products and learn more or join a FREE essential oils class with me. NB: If you think you're likely buy oils again in the future you'll probably find the best value is to choose "Join and Save" so you get 25% off all orders with immediate effect. It's just £20 to join and get saving straight away. As a Wholesale Customer, you are free to place orders as and when you like and no expectation of sharing the oils with others. I'm happy to answer any questions or help you through the choices - these oils can literally transform your life.